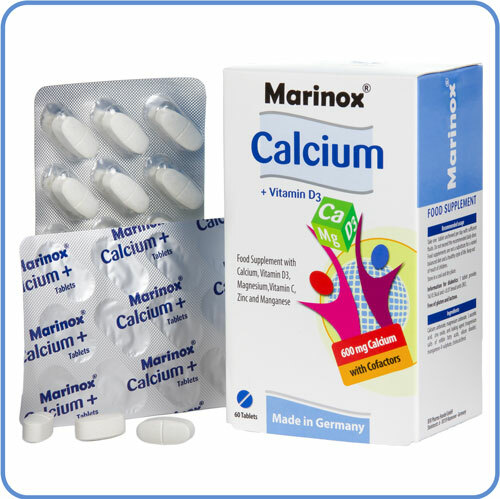 Marinox® Calcium + Vitamin D3 are suitable for women and men. 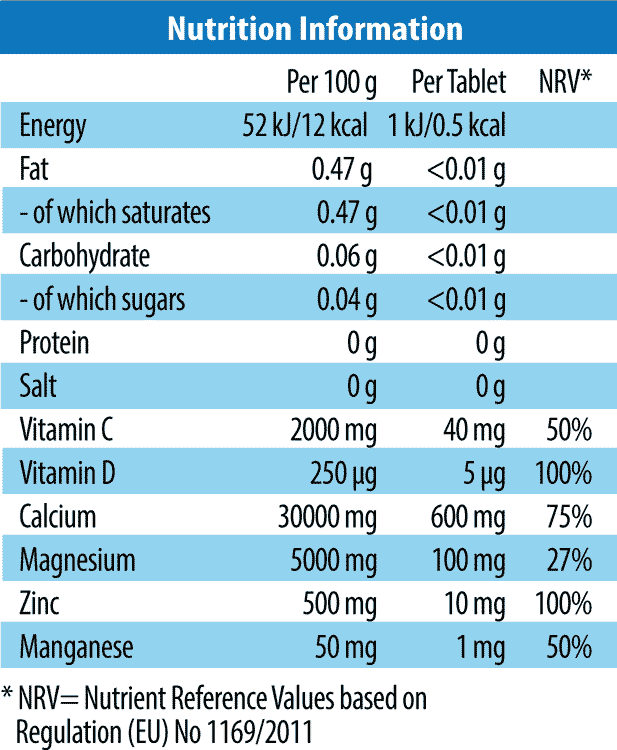 They contain a well-balanced and carefully selected combination of vitamins, minerals and trace elements. 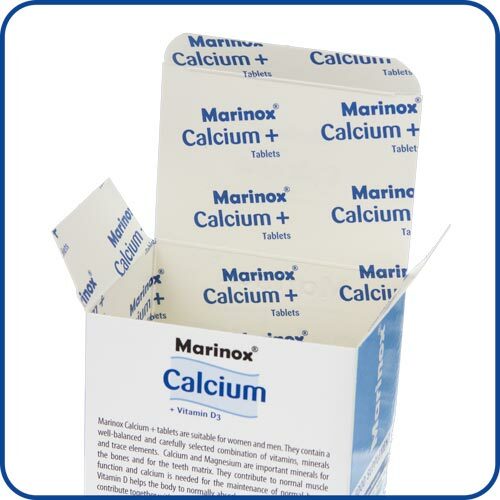 Calcium and magnesium are important minerals for the bones and for the teeth matrix. They contribute to normal muscle function and calcium is needed for the maintenance of normal bones. Vitamin D helps the body to normally absorb and utilize the calcium and contribute together with magnesium to the maintenance of normal bones and teeth. Manganese and zinc also contribute to the maintenance of normal bones. Vitamin C contributes to normal collagen formation for the normal function of teeth and bones. Calcium carbonate, magnesium carbonate, L-ascorbic acid, zinc oxide, anti baking agent (Magnesium salts of edible fatty acids, silicon dioxide), manganese-II-sulphate, cholecalciferol. 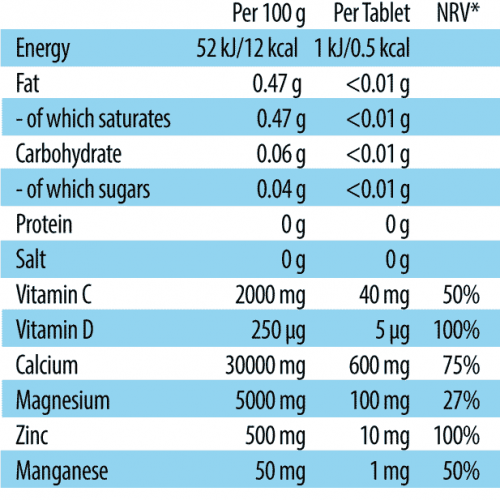 1 tablet provides 1kJ/0.5kcal and <0.01 bread units (BU).